Situated within 100 acres of tranquil deer park, overlooking the rolling Quantock Hills and the Bristol Channel beyond, St Audries Park provides the perfect Somerset venue for your special day. The photograph opportunities are endless and will create lasting memories of your special day. St Audries Park was the winner of Wedding Ideas Magazine ‘Best Wedding Venue’ in 2013 and it is easy to see why! Located close to Bristol, Taunton and the South West the M5 is just 15 minutes away making it easily accessible to all. The Victorian Orangery is truly breath taking and provides the perfect setting for your ceremony. With its bright airy feel it is the perfect space to say those precious vows, surrounded by your friends and family. The stunning banqueting hall can seat up to 130 guests for the wedding breakfast and there are several other grand and ornate reception rooms for your guests to enjoy. As the entire house and grounds are exclusively yours you can also invite up to 250 guests for the evening wedding reception and party. There are 40 luxury bedrooms reserved exclusively for you for your wedding night ensuring the perfect end to your perfect day at St Audries Park. There are also beautiful properties within the grounds for the Bridal party and Groomsmen to stay the night before the big day too. The new addition of Church Lodge, a delightful house in the grounds, now completes the former estate of St Audries Park, bringing it all back to its former glory and meaning that St Audries Park can now sleep up to 40 guests for the night before and over 70 guests for the night of your wedding. If one day is simply not enough, why not set up home at St Audries Park for a luxurious two day affair. St Audries Park offers a fantastic setting for your destination wedding. With its proximity to the sea it offers fabulous coastal views and a tranquil setting in 100 acres of deer park. St Audries Park is one of the most popular wedding venues in the UK and remains exclusively for weddings. It appears now though that one day is simply not enough time to enjoy this serene setting and truly celebrate in style. Couples are increasingly looking for the option to spend not just one night at the venue but now to ‘take over’ for the entire weekend! In response to this demand the team have announced the creation of the new St Audries Park website dedicated solely to this ‘Weekend Wedding’ concept. Couples can visit www.weekendweddingvenues.com and find details of the all-inclusive wedding package available from just £35,000 and offering everything you need for 90 guests. Country House Weddings have always prided themselves on offering the ‘complete package’ and keeping things simple and easy for their couples. This new concept is no different, it is just bigger and better than ever before! Offering the entire house and grounds exclusively to each couple for longer and incorporating more family and friends too. 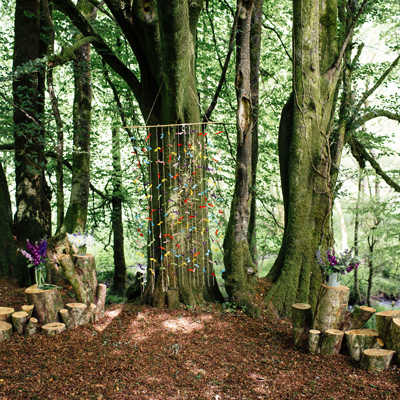 St Audries Park can now cater for every type of celebration from big to small and from one day to an entire weekend. Accommodation includes the luxurious suites in the main house plus the individually styled estate cottages. New for 2015 the converted ‘Windsor House’ offers a modern twist to the end of a fairy tale day. For details visit www.weekendweddingvenues.com or call Jade on 01984 633 633.